Customers and non-customers of UBA have a chance to win an all- expense paid trip to Dubai. 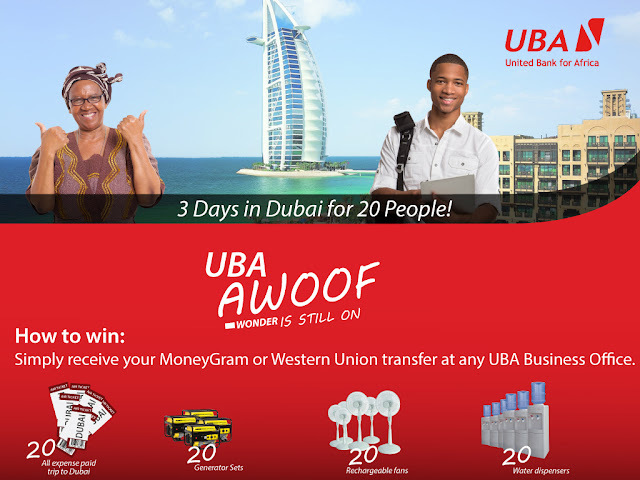 All they have to do is receive money through MoneyGram and Western Union money transfers at any branch of UBA. 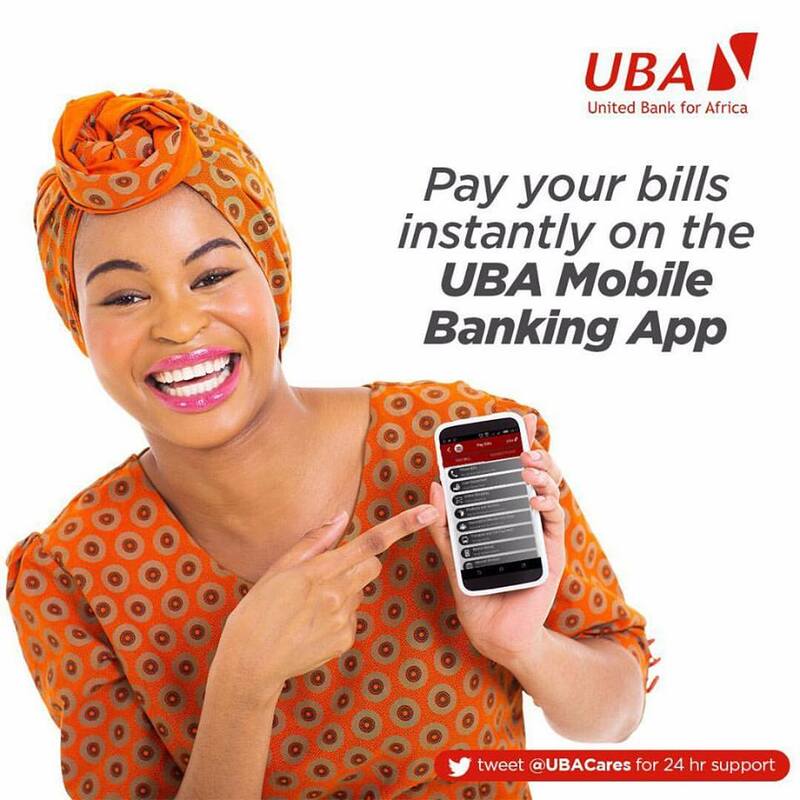 The bank is calling it the UBA Remittance Awoof Promo. The promo will give 20 people the opportunity to go on an all-expense paid trip to Dubai, while 60 others will win prizes such as generator sets, water dispensers and rechargeable fans. This Awoof promo is already open and will be on until September 14, 2015. Speaking on the UBA Remittance Awoof promotion, Group Executive Personal Banking, Oliver Alawuba called on the bank’s existing customers and new customers to take advantage of the promotion by receiving their money transfers through UBA. “This is a great opportunity for customers and even non-customers to receive their funds through UBA. There is no minimum or maximum amount to receive in order to qualify for any of the prizes on offer. Just walk into any of our business offices all over Nigeria to receive your money, and you could be the lucky winner of an all expense paid trip to Dubai or any of the other fantastic prizes on offer” said Mr. Alawuba. UBA is a leading player in the Remittance segment, offering money transfer services through MoneyGram, Western Union and AfriCash. Millions of the bank’s customers rely on the UBA extensive network across Africa for transfers across the continent.